Beauty, culture, nature - what more could you ask for? Fiji, a country in the South Pacific, is an archipelago of more than 300 islands. It's famed for rugged landscapes, palm-lined beaches and coral reefs with clear lagoons. Its major islands, Viti Levu and Vanua Levu, contain most of the population. Vacationers and honeymoons alike love the serene waters and the ample adventure Fiji affords. 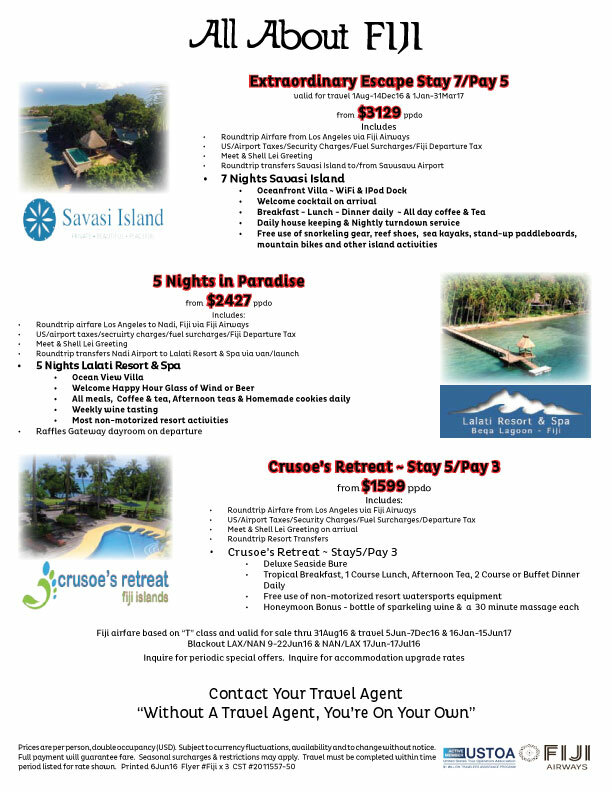 Contact us today to plan your Fiji trip! Contact us about your Fiji adventure!